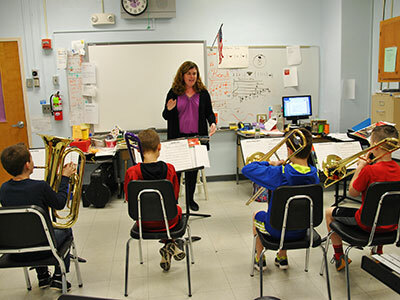 The Orange County Music Teachers Association awarded a mini-grant to Ashley Head, a 4th grade band teacher at the Sanfordville and Park Avenue Elementary Schools. The funding will be used to purchase a series of music books about rhythm, literature and composers for the elementary band program. Mrs. Head has been teaching in the district for 16 years.